If you want to spend quality time with your close ones away from the crowds, here are a few places you might want to look into for your weekend getaway. 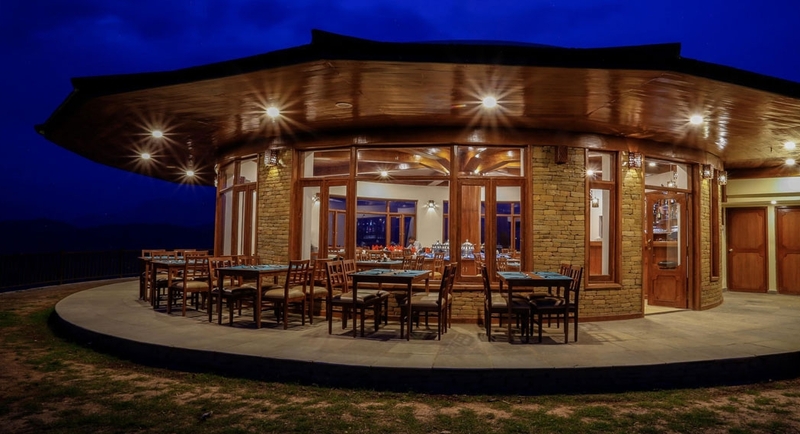 Ideally located on a high ridge and approximately an hour’s drive from Lakeside Pokhara, Rupakot Resort enjoys breathtaking panoramic views of the Annapurna range along with Rupa and Begnas lakes far below. 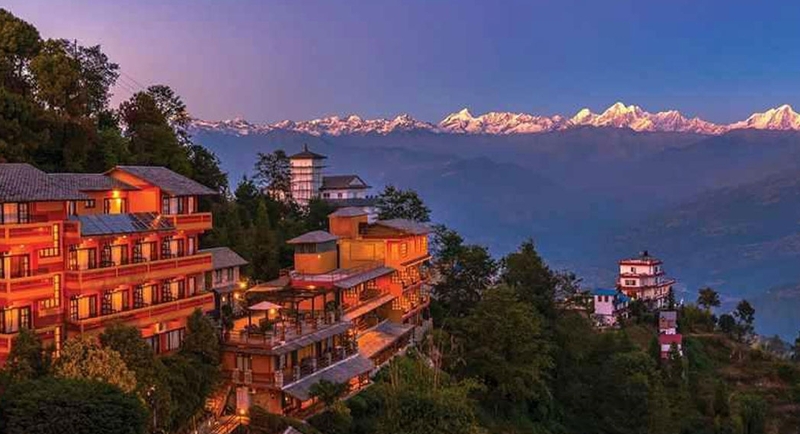 The resort offers the ultimate luxury getaway with a taste of traditional Nepali rural life. The Rupakot area is a place for gentle walks and adventurous hikes along such routes as the popular “Royal Trek” with stunning views of snow- capped mountains walking through verdant forests filled with birdsong and encoutering traditional homesteads moving down towards the valley below and Rupa Lake. The Old Inn is one of the heritage hotels on a hilltop in Bandipur, where one gets a feel of a bygone era, taking one back to a Nepal that barely exists elsewhere. 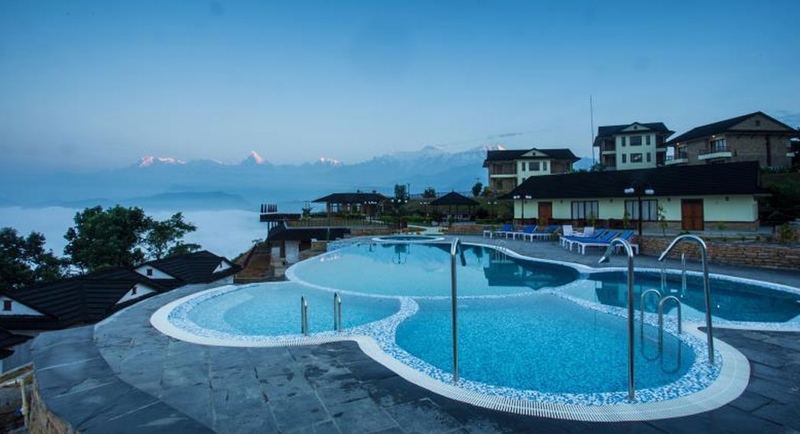 Located between Kathmandu and Pokhara, it is easily accessible, making it the perfect getaway and an idyllic retreat. Restoration and conservation of this traditional Newari townhouse required preserving the low ceilings and the overall sense of proportion and scale. 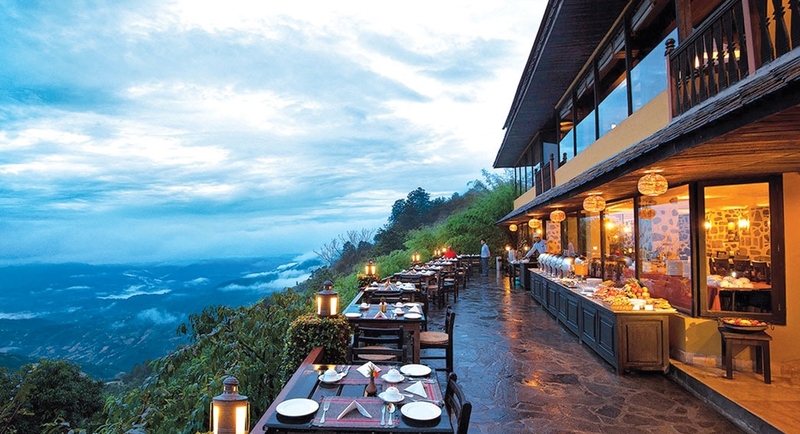 Just 32km away from Kathmandu, Nagarkot has always been a favorite among Kathmanduites and the ultimate escape but the New Year may attract a crowd. Country Villa is one of the luxury hotels located on a hilltop, where you soar with the clouds and witness the spectacular drama unfolding before you when the sun comes up or sets behind the distant hills. It showcases nature at her best, and arouses the romantic self in us, promising a splendid stay surrounded by verdant greenery. Now think of spending the New Year in an ancient fortress within a farm on a terraced hillside, celebrating with your family sitting around a bonfire enjoying chilled drinks. Built traditionally as a concept to preserve the cultural and historical significance of the place. The sheer scale of the surrounding green hills is awe inspiring as it rises northwards to meet the snows of the Langtang Himal. An imposing manor house and two charming cottages form a courtyard, while the farm itself is a delight of quiet corners and niches with terraces of abundant, colorful, organic vegetation. The Famous Farm is offering special New Year packages including a stay at their suite inclusive of all three meals. Special requirements will be entertained if requested well in advance so as to fulfill all your needs.